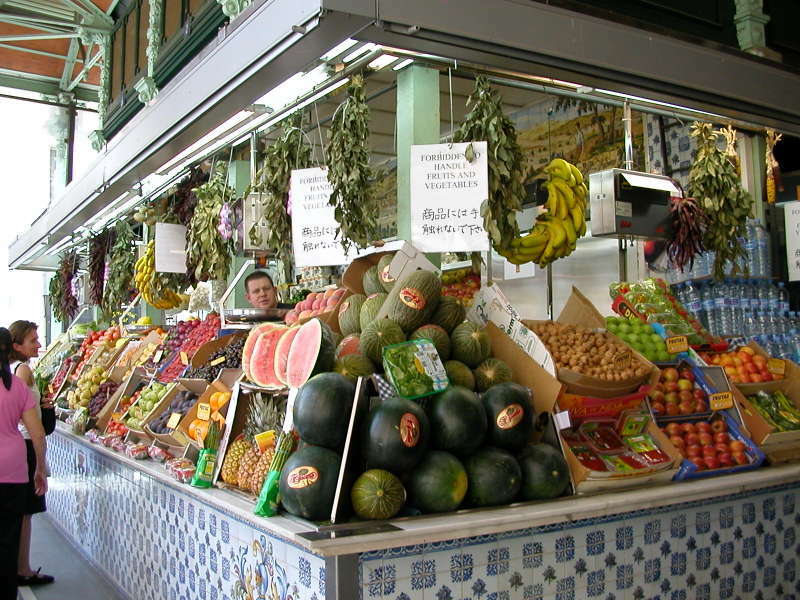 We can never resist a colorful market, and the Mercado de San Miguel was no exception. 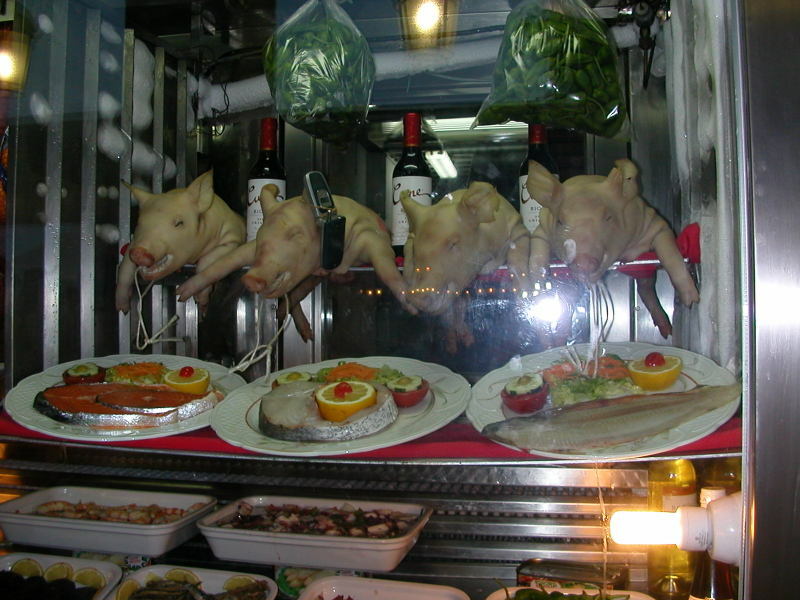 Housed in a striking early 20th –century wrought-iron structure enclosed by glass walls, the attractive, individually-decorated stalls offered beautiful produce, charcuterie, meats, olive oils, capers, etc. 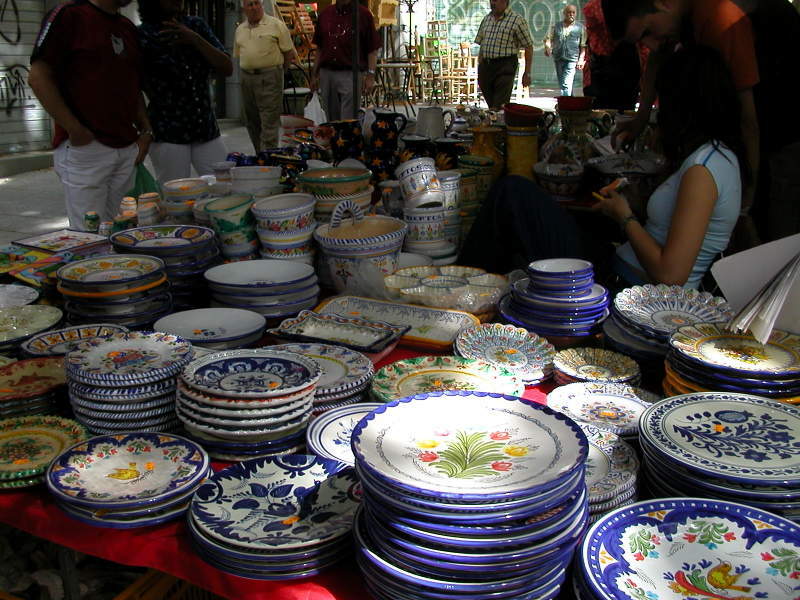 Several of the stalls were not open, possibly due to the fact that each stall is individually owned and operated with their own set operating hours. I’ve also read that the stalls may be closed due to competition from modern supermarkets. 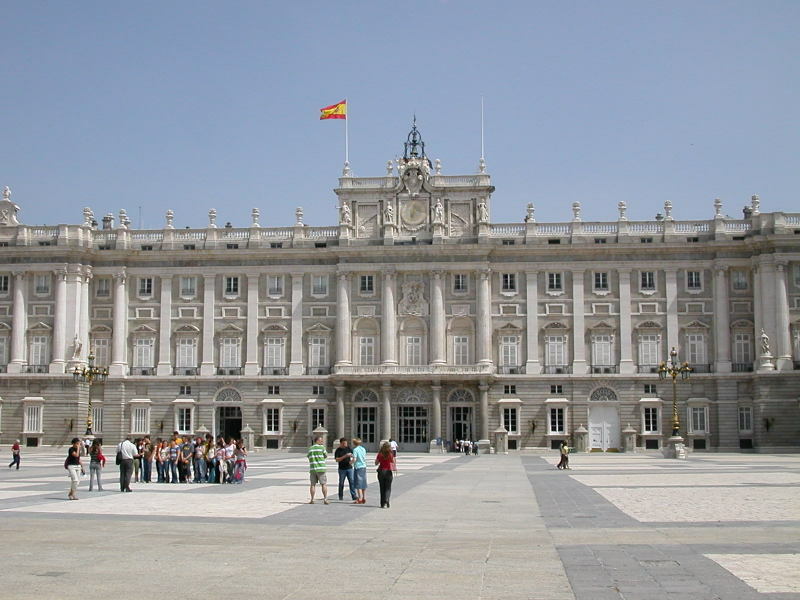 When the massive Royal Palace was completed, 26 years after Felipe V commissioned its construction after the original royal residence burned down in 1734, he was no longer around to reap the benefits. 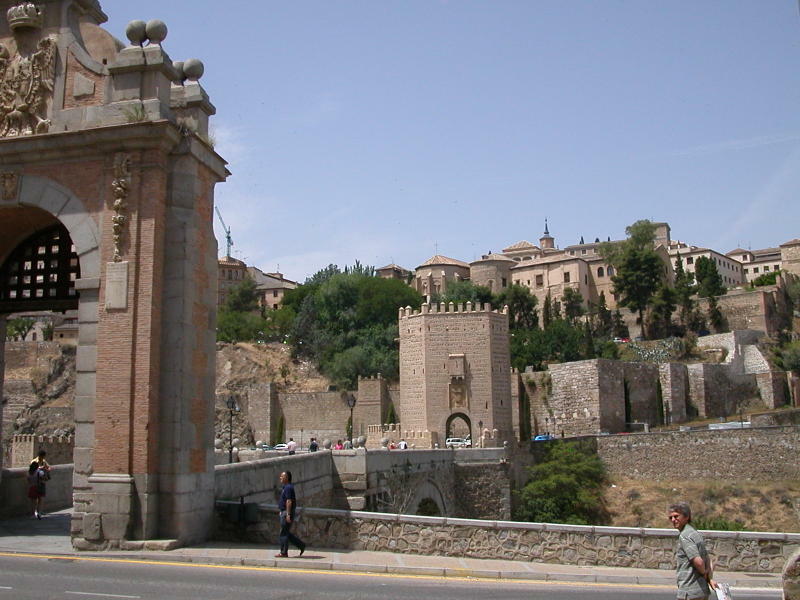 It was his son, Carlos III, who became the first royal resident. 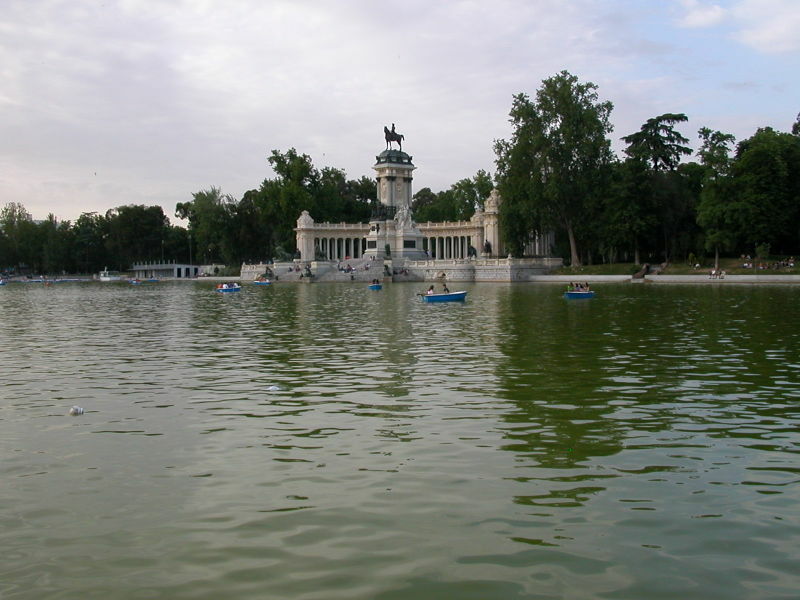 It has not been used as a home to the royals since Alfonso XIII abdicated the throne in 1931. 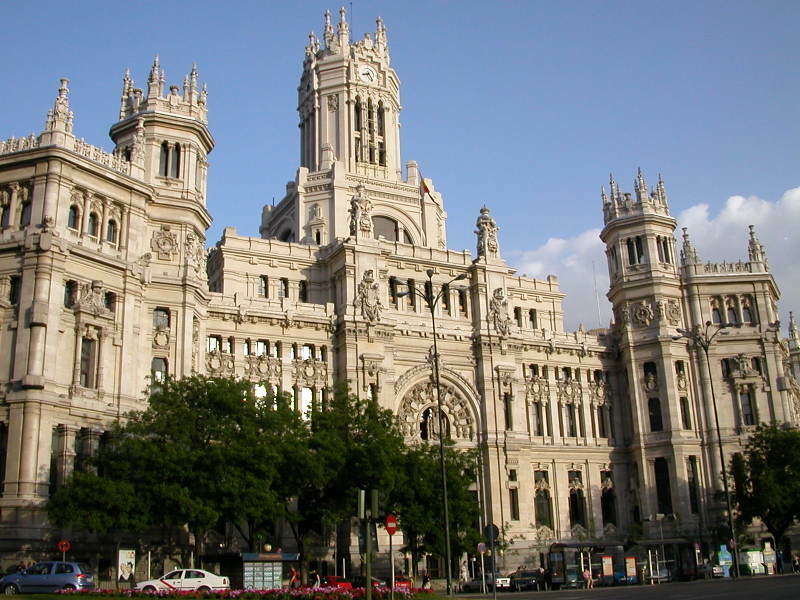 However, it is still used for official state functions, and it is open for the public to tour the opulent rooms, the pharmacy, the armory, the chapel, the furniture, the tapestries, the porcelain, the paintings by Velázquez, Goya, Caravaggio, etc., etc. 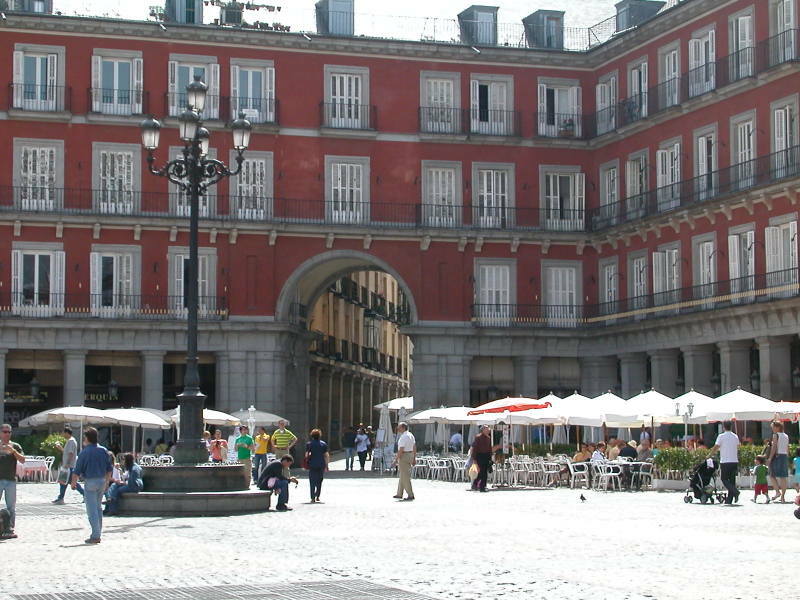 We achieved our number one goal in Madrid today with a visit to the Prado Museum. And we were not disappointed ! The rooms were spacious, the lighting was perfect, and the collection was awesome. Domenicos Theotocopoulos, nicknamed “El Greco”, was very well-represented with works such as, The Adoration of the Shepherds, where one of the shepherds bears a striking resemblance to El Greco himself. We noticed in many of his paintings that there were subjects who seemed to resemble him, but we decided that it might have just been the style of the times that many men looked alike with their pointy goatees and white ruffle collars. There were also many paintings by Velázquez, such as, Las Meninas (The Maids of Honour), where he appears as the artist in the shadow in the midst of all the activity and mystery in the behind-the-scenes look at his daily work. And, of course, there was Goya. 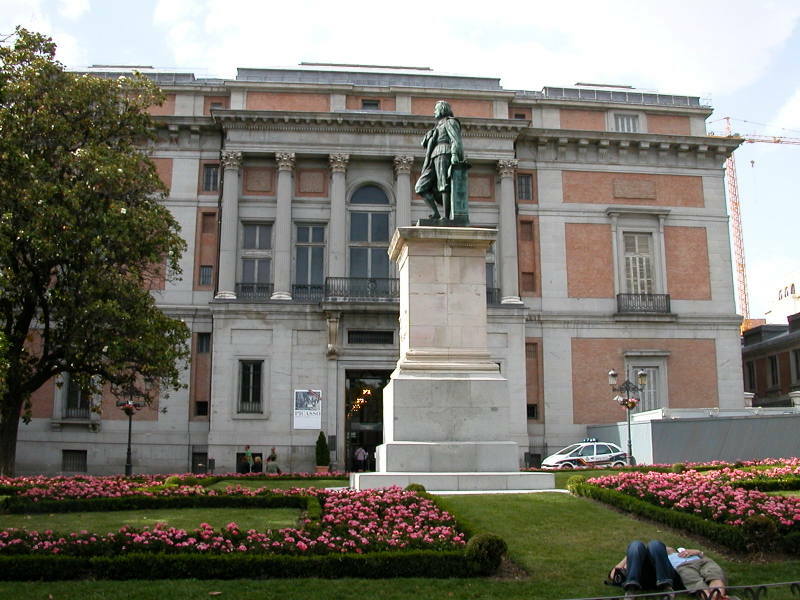 Francisco Goya, who was considered by some as the “Father of Modern Art”, was also well-represented in the Prado. We especially enjoyed two of his most famous works, La Maja Vestida (The Clothed Maja) and La Maja Desnuda (The Naked Maja), which were both confiscated by the Inquisition as “obscene works” around 1813. It is believed that the shocking, The Clothed Maja may have been painted first, and that the even more shocking, The Naked Maja came afterwards, when very few nudes existed in Spanish Art at the time. Of course, the Spanish artists were not the only ones represented in the museum. There were many important works by Flemish, Dutch, French, German, and Italian artists as well, including, David Victorious over Goliath by Caravaggio, that was especially memorable, in his familiar Chiaroscuro style. After everything else we did today, we didn’t imagine that we would also still have time to visit the Centro de Arte Reina Sofía, but it turned out that it was open until 9:00pm, so we thought we had lucked out. It turned out that we had only partially lucked out. 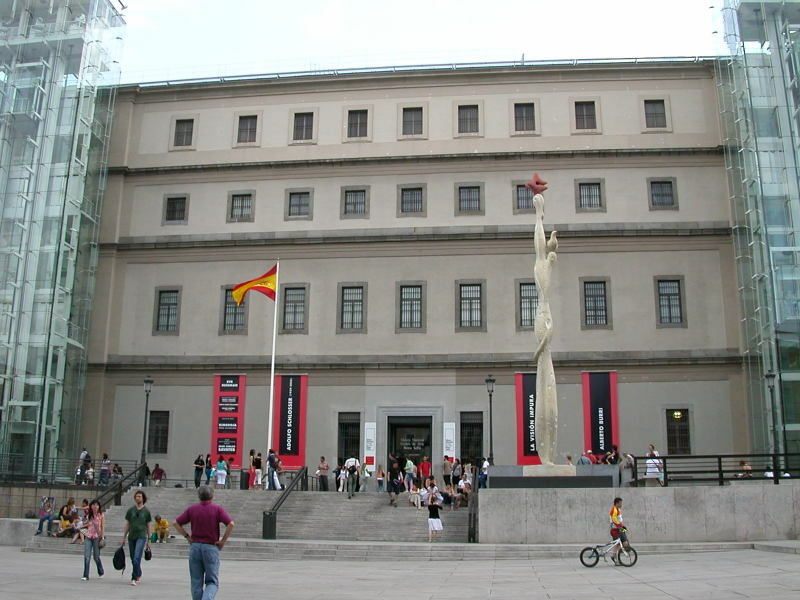 Our main reason for visiting this museum of modern Spanish art was to see Picasso’s famous Civil War protest painting, Guernica. 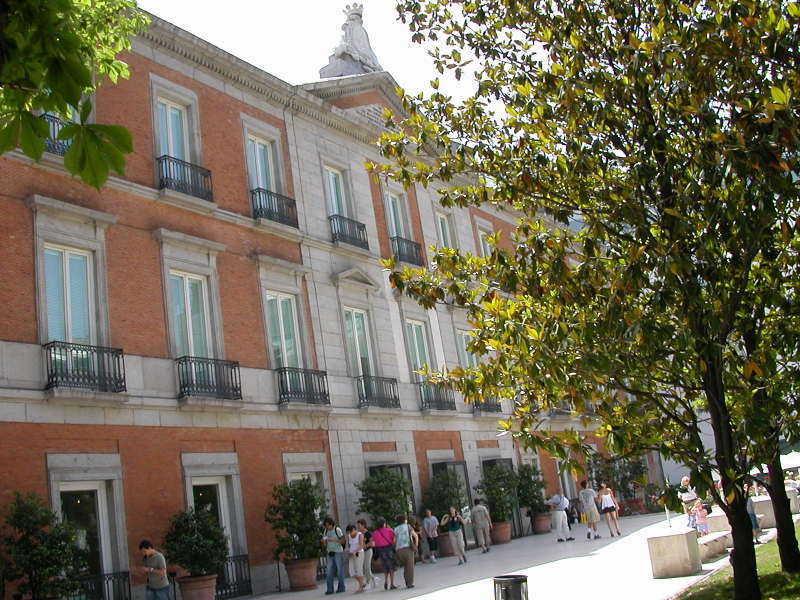 Unfortunately, several of the exhibition rooms of Madrid’s former General Hospital were closed due to renovation efforts, and Guernica was in one of these rooms which was not accessible to the public. 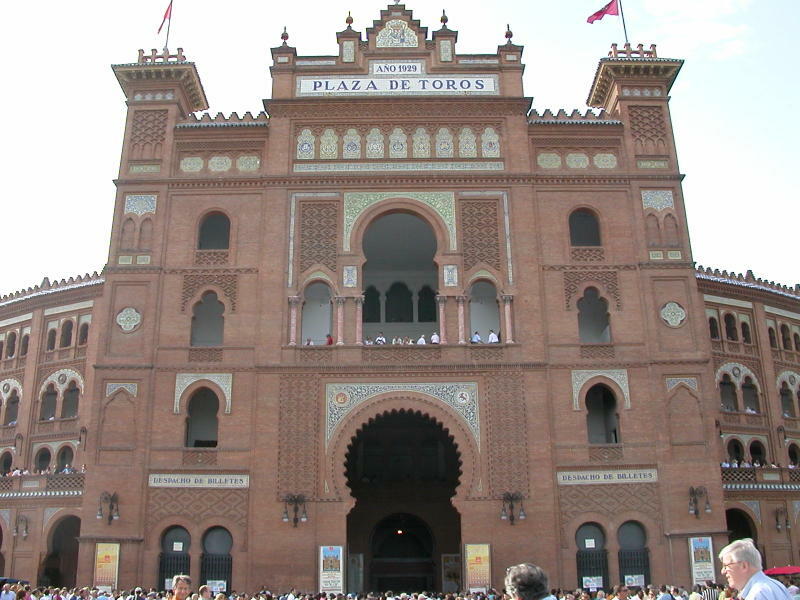 It was maybe for this reason that the entrance fee to the museum was waived, so we were still able to see other interesting works by Picasso, Joan Miró, Salvador Dalí, etc. An ominous painting by Alfonso Ponce de León, entitled Accidente, was a bit disturbing, as the subject was a man thrown from a car in a traffic accident, which is how he himself lost his life later in the same year of the painting’s completion in 1936. 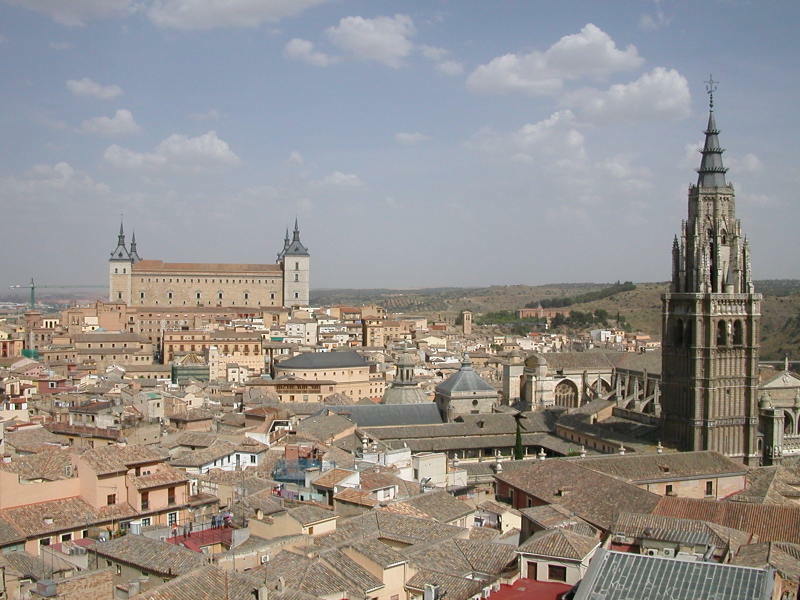 A 1½ -hour Iberia flight directly from NCE to MAD started our day, and our first visit to the capital of Spain. 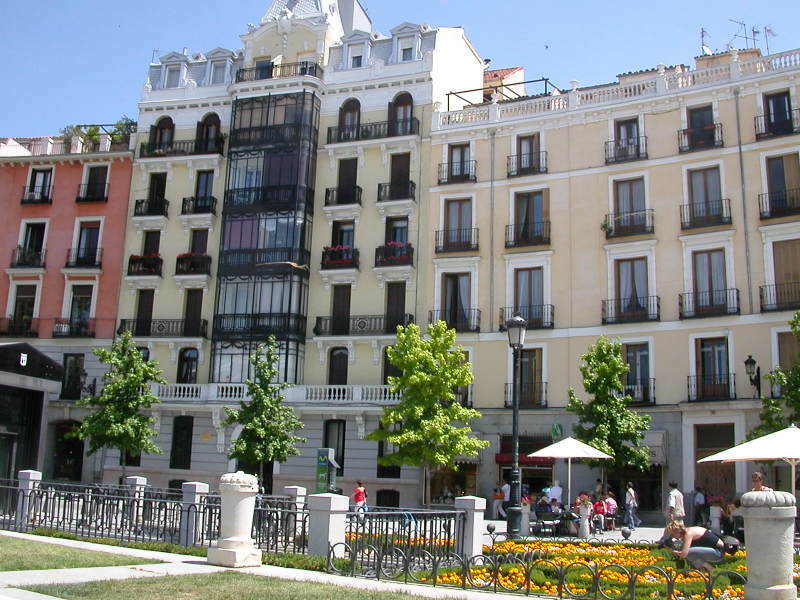 We took the airport shuttle from Terminal 4 to Terminal 2, where, for just 1€ each, we took the Metro into Old Madrid, the historical center of the city. 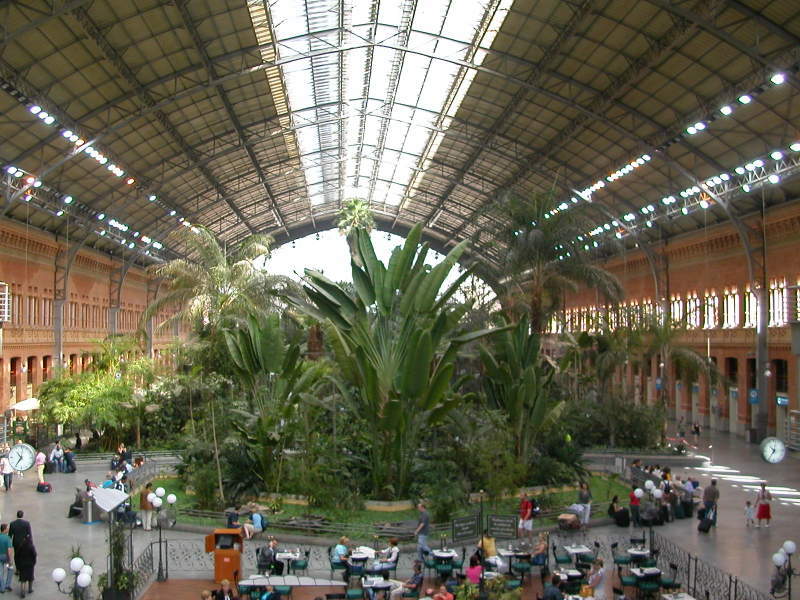 After spending the day strolling around, admiring the architecture and sculptures, enjoying the beautiful Retiro Park, people-watching in the lively plazas, and seeking out the museums and the palace, we realized that the Hotel Gaudi on the Gran Vía was well-situated for the majority of what we had planned to see. And what wasn’t within walking distance was easily accessible via the excellent Metro system.